The flavor of soy, garlic, and sesame is truly authentic. This is a low salt content seasoning blend. 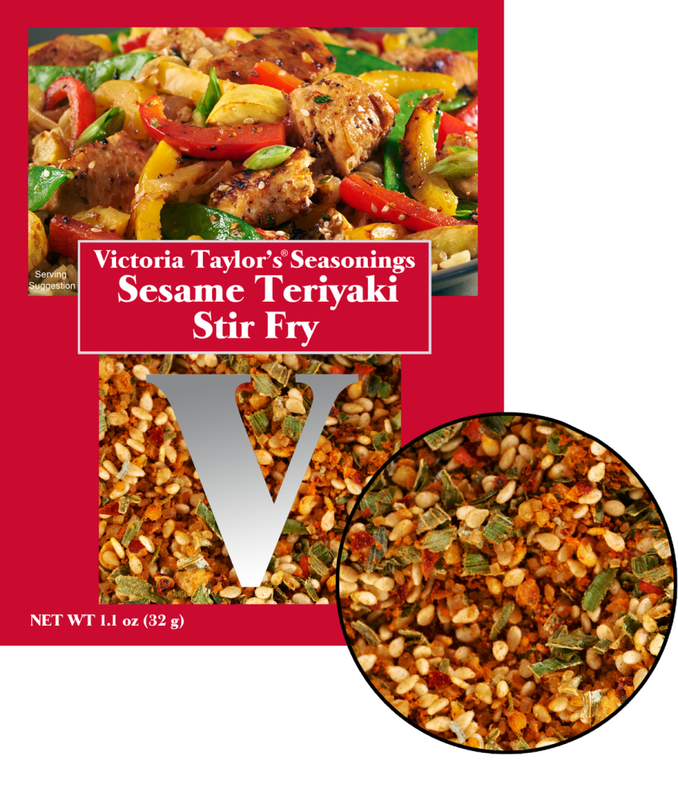 This is a single use packet designed to make my recipe for Sesame Teriyaki Stir Fry which is included on the back of the packet. Ingredients: Sesame seeds, demerara sugar, dried garlic, spices (cinnamon, fennel, ginger, red pepper), dried soy sauce (soy sauce (wheat, soybeans, salt), maltodextrin, salt), sea salt, dried green onion, paprika, sesame oil, garlic oil.